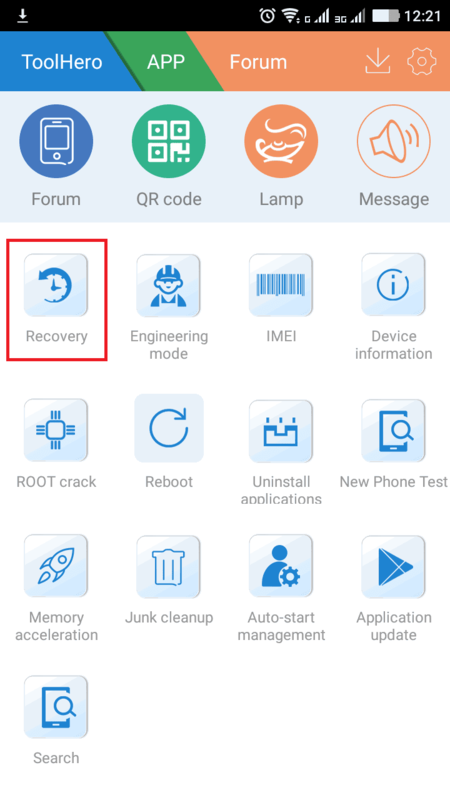 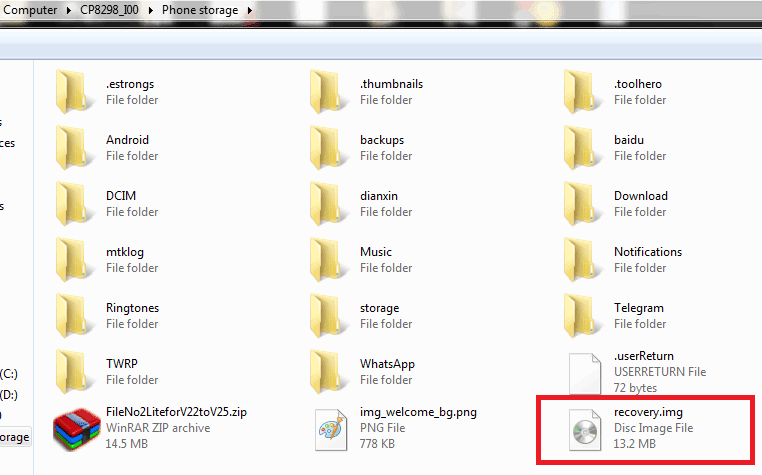 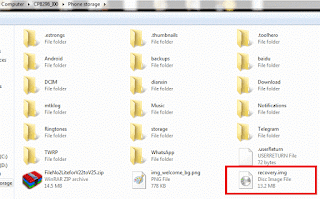 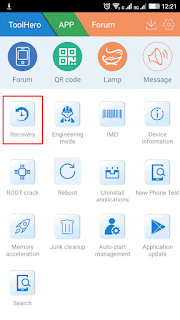 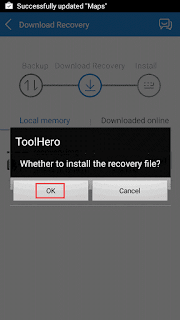 1.Download and copy custom recovery.img(For Coolpad Note 3 Click here/For Coolpad Note 3 lite Click here) for your device on internal storage of your device. 4.Wait for recovery to appear.Then click on install. 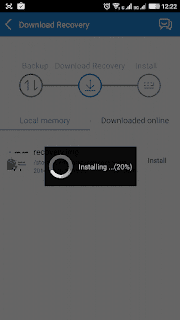 5.Click on OK and wait to installation to be completed. 6.Recovery installed,now click on OK to enter into recovery mode. 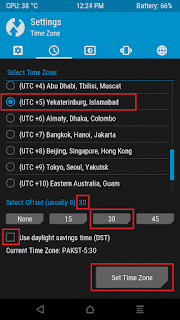 7.Set timezone as shown below to show correct time. 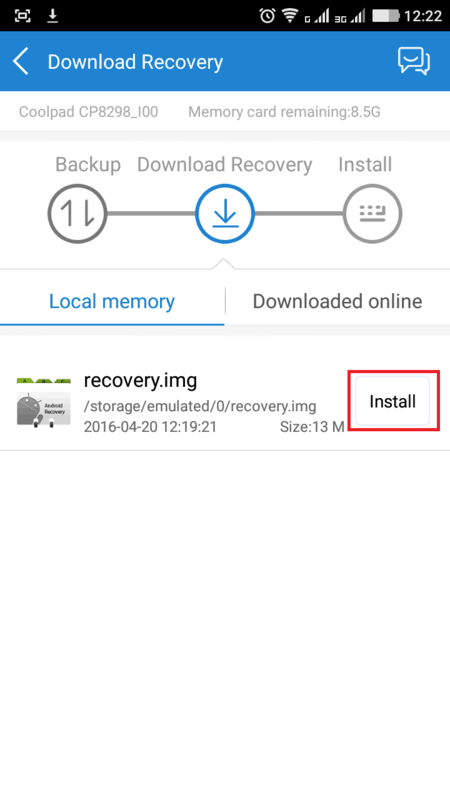 where is recovery.img download link? 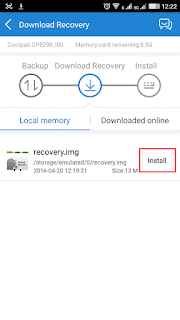 Nope didn't help me out..
You have to download your recovery from browser then copy that on internal memory.This app is for flashing recovery not downloading.Its already clear from above screenshots"shows using LOCAL MEMORY"
After install recovery. 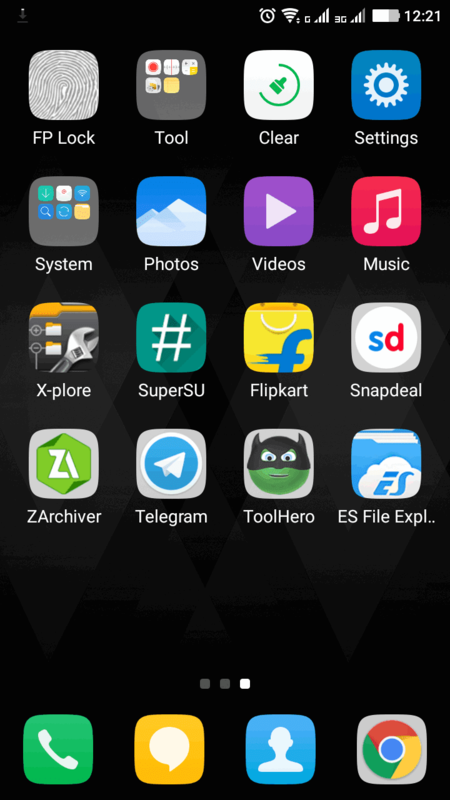 Restarted. It directly goes to recovery mode. 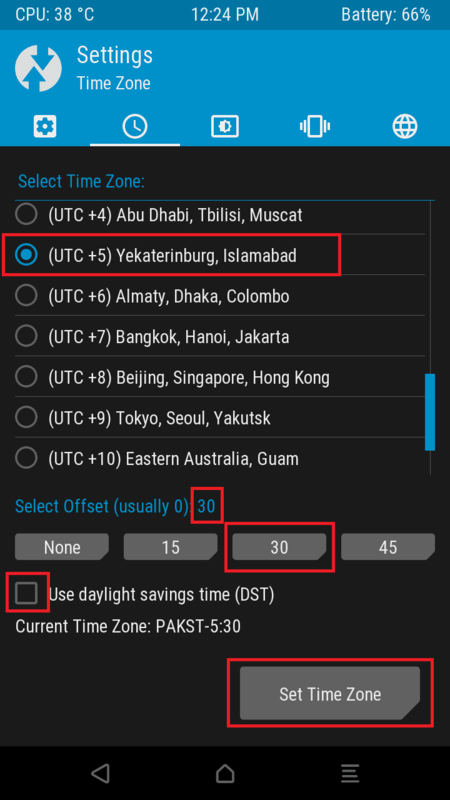 And not asking time zone.as per your instruction.and shown to SYSTRM RECOVERY MODE.